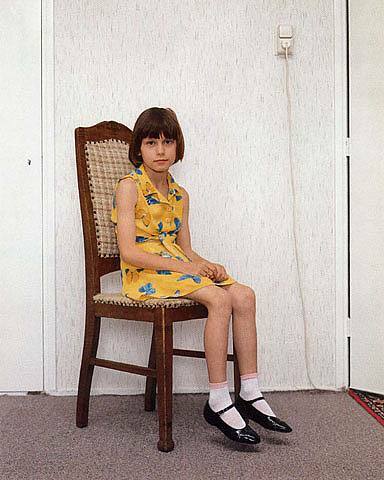 Rineke Dijkstra documents people in transitional moments: mothers shortly after giving birth, young people entering the military, matadors still bloody from a bullfight, young club kids just off the dance floor, and preadolescent bathers on various beaches in the United States and Eastern Europe. Formally, her images resemble classical portraiture with their frontally posed figures isolated against minimal backgrounds. 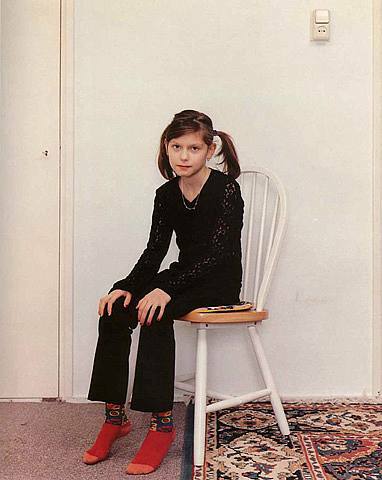 Despite their uniformity, however, Dijkstra's pictures deftly expose the emotional state of her individual sitters. 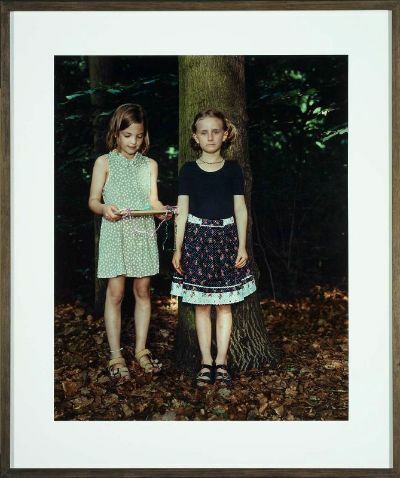 Although she isolates the subjects in her Beaches series (1992–96) and frames them with only sea and sky, the artist reveals much about them by capturing a subtle gesture or expression in these unguarded moments that reside somewhere between the posed and the natural. 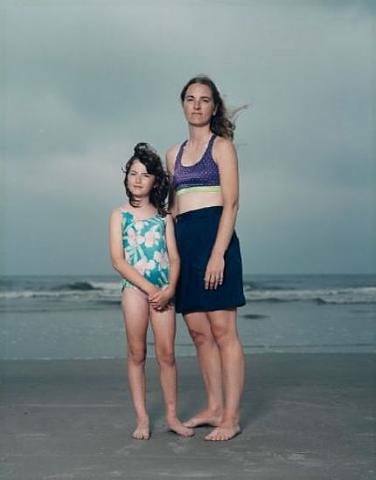 In photographing the already awkward young subjects in their bathing suits, Dijkstra sets up a situation marked by a self-consciousness that parallels the uneasy passage between childhood and adulthood.